The Freedom From Religion Foundation is objecting to unconstitutional religious discrimination at a high school in Austin, Texas. 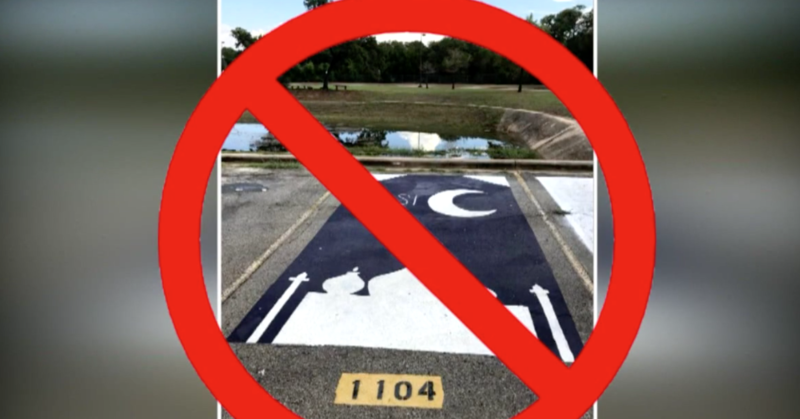 FFRF contacted the district regarding allegations that as part of James Bowie High School’s “Senior Reserved Painted Parking Spaces” program for students with good attendance, the school has denied some parking space designs proposed by seniors, apparently for religious content, while other layouts containing bible verses have been approved. For instance, one student was told by Principal Mark Robinson that her parking spot design, which featured the Taj Mahal, needed to be modified to look less like a mosque. The school also reportedly rejected a yin-yang pattern. However, a design featuring “Romans 12:21” was readily approved. 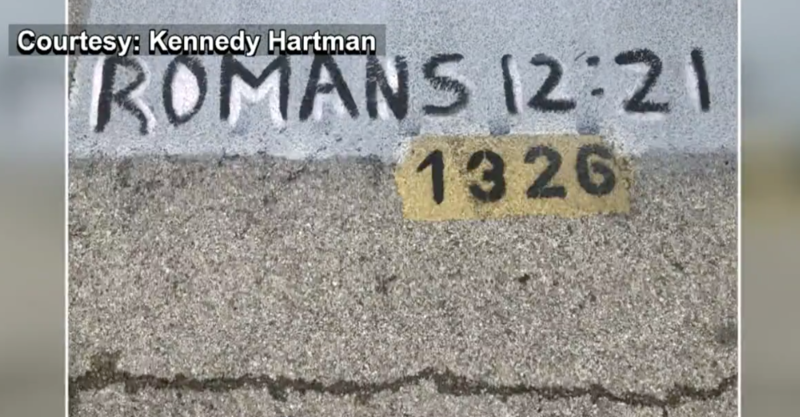 “As a Christian student I can put my bible verse, but as someone who believes in Allah and worships Islam, the religion, they should be able to put whatever they want on their parking spot,” the student with the biblical parking space herself remarked. The guidelines for students participating in the school’s painted parking space forum appear permissive and arbitrary. FFRF encourages the district, or Bowie High School, to adopt a more robust set of guidelines for its senior parking space forum — and to enforce those guidelines in a manner that does not favor some religious messages over others. Any school policy may not delegate overly broad discretion to school administrators, as the U.S. Supreme Court has emphasized in other contexts. In other words, Bowie High may not continue to subject senior parking space designs to administrative approval absent narrow, objective, definite standards for its employees to follow in approving or rejecting designs. The current standards at Bowie High send the message to non-Christian and nonreligious students that they are outsiders in their own school community, while Christian students are favored, FFRF contends. The district should be particularly wary of excluding minority religious and nonreligious students, given that 43 percent of younger Americans — those born after 1989, i.e., the district’s current students — are non-Christian, either practicing a minority religion or no religion at all. “The blatant favoritism that Bowie High School officials are displaying is a prime example of Christian privilege at work,” says FFRF Co-President Annie Laurie Gaylor. “The school is only allowing students to express their religiosity if they belong to the dominant religion.” Gaylor urges the school to disallow political and religious messages altogether to avoid divisiveness. The Freedom From Religion Foundation is a national nonprofit organization with the purposes of protecting the constitutional separation between church and state and educating the public on matters relating to nontheism. It has more than 32,000 members across the country, including 1,300-plus in Texas.